Tea planters across north Bengal are waiting for a fresh directive from the Reserve Bank of India and the state government who had proposed that the industry should be allowed to pay workers' wages in cash till January 31. The proposal was discussed at a meeting held at Nabanna on Friday. Today, constituents of Joint Forum - an apex body of 26 tea trade unions - demonstrated in different government offices in the Dooars, Terai and Darjeeling and submitted memorandums to the officials demanding that banks set up infrastructure in each estate. Prabir Bhattacharjee, secretary-general of the Tea Association of India, said: "At the December 16 meet, RBI and state officials had agreed in principle that the industry needed more time to migrate to the cashless system. It was said that till January 31, planters would be allowed to draw cash and the process to open bank accounts would be expedited." In some estates wages of two fortnights were due while in others, wages for one-and-a-half fortnight were pending. According to rules, planters are not allowed to draw more than Rs 24,000 in cash in a week from savings accounts and Rs 50,000 a week from current and cash-credit accounts. 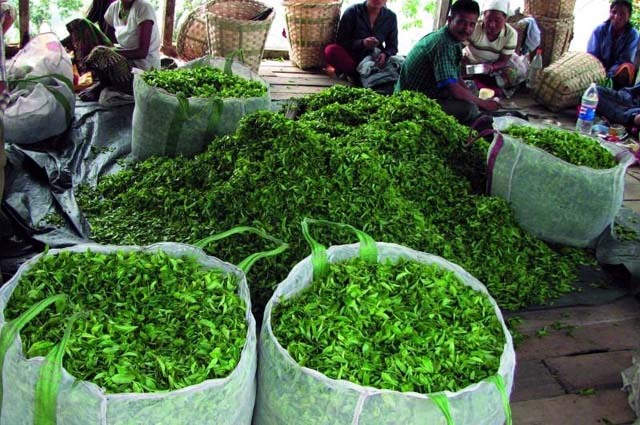 Sandeep Mukherjee, principal advisor to the Darjeeling Tea Association, said: "We believe there should be no deadline for change in the mode of payment. A number of issues need to be addressed. There are problems with documents of workers. They have to forgo a day's work to go to banks. The process of setting up ATMs in gardens is yet to start." Sumit Ghosh, secretary of the Terai branch of the Tea Association of India, said: "The bankers should sit and decide which bank will open accounts for which gardens."